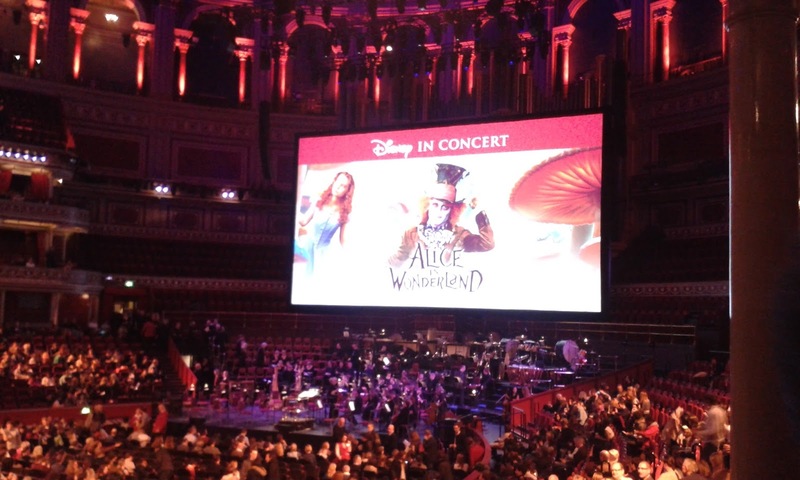 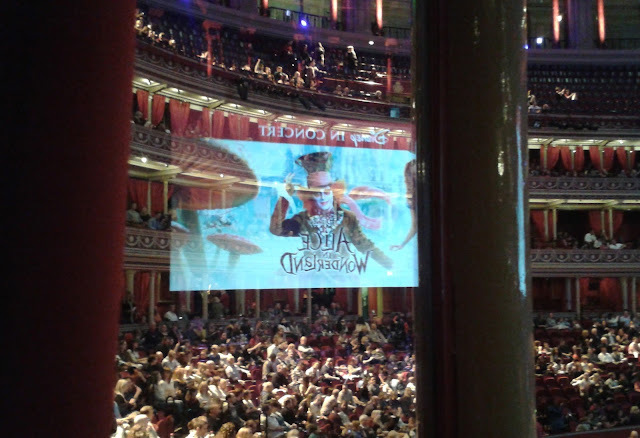 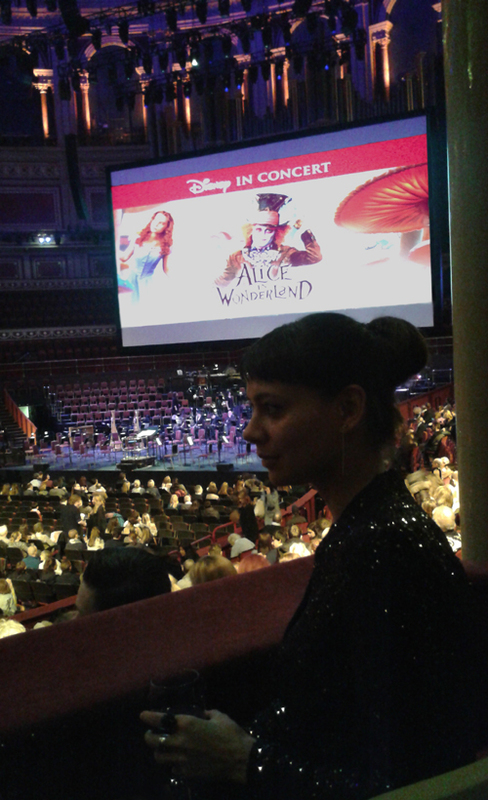 Last Saturday evening Adie and I went to see Tim Burton’s Academy Award-winning 2010 fantasy film Alice in Wonderland on the big screen in the glorious surroundings of the Royal Albert Hall, with Danny Elfman’s magical score being performed simultaneously by a live orchestra and choir. 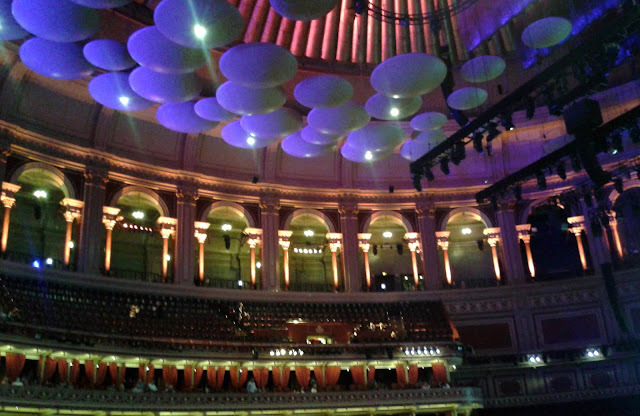 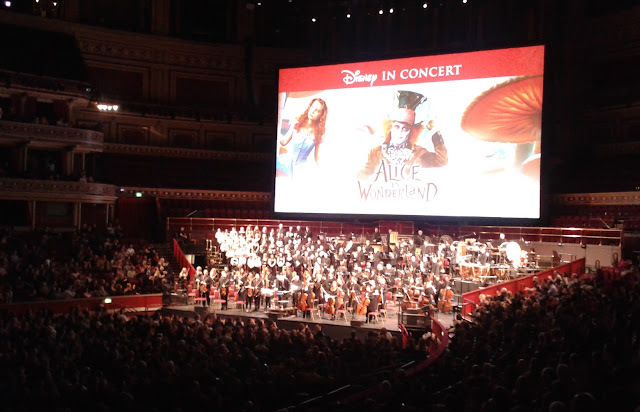 The high-definition screening with live orchestral and choral accompaniment from the Royal Philharmonic Concert Orchestra, the Maida Vale Singers and the Cardinal Vaughan School Schola Cantorum, all conducted by John Mauceri, was an incredible feast for the eyes, ears and heart, captivating the whole audience. 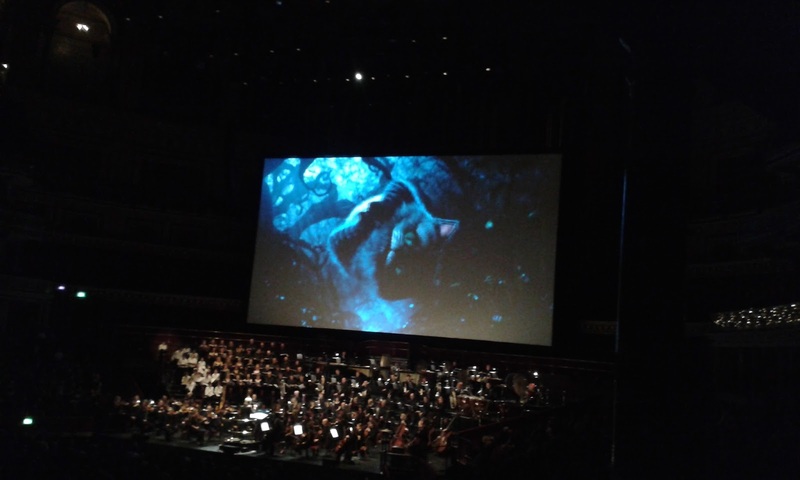 The screening was also the World Premiere performance of a newly scored piece for the film’s finale. 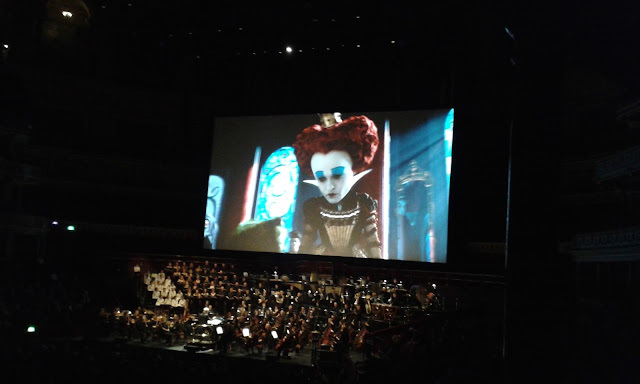 Danny Elfman wrote a new ending to play from the end of Alice’s Theme to the very end of the credits. 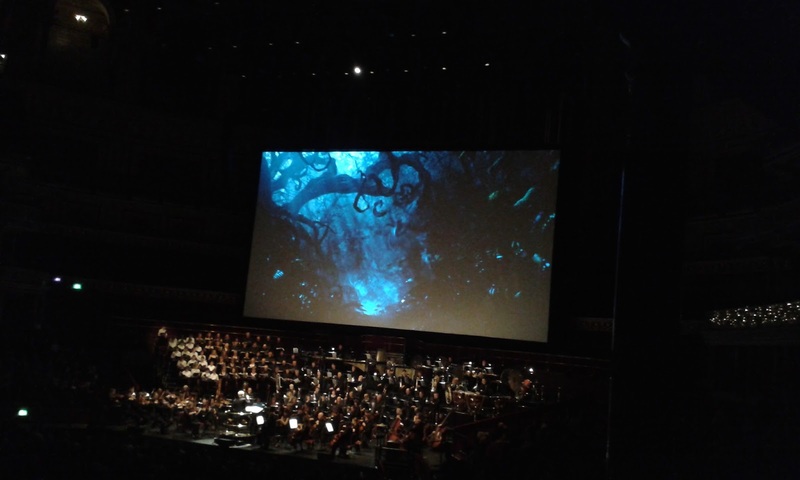 We were the first people to hear it! 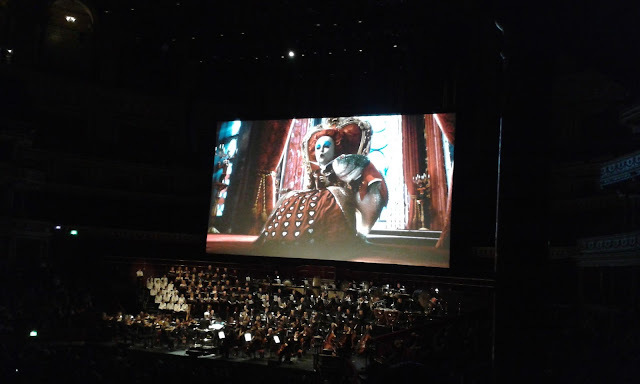 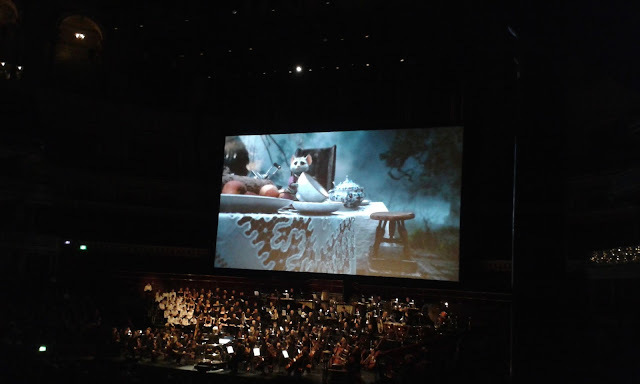 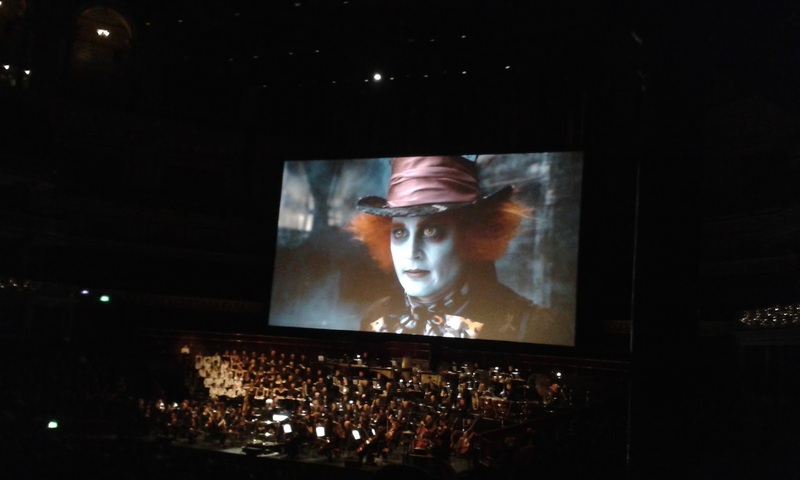 It was a wonderful evening for us and once again, we got to see the great man himself Mr Danny Elfman on stage at the end which made the whole evening even more special. I have posted some photos below for you. 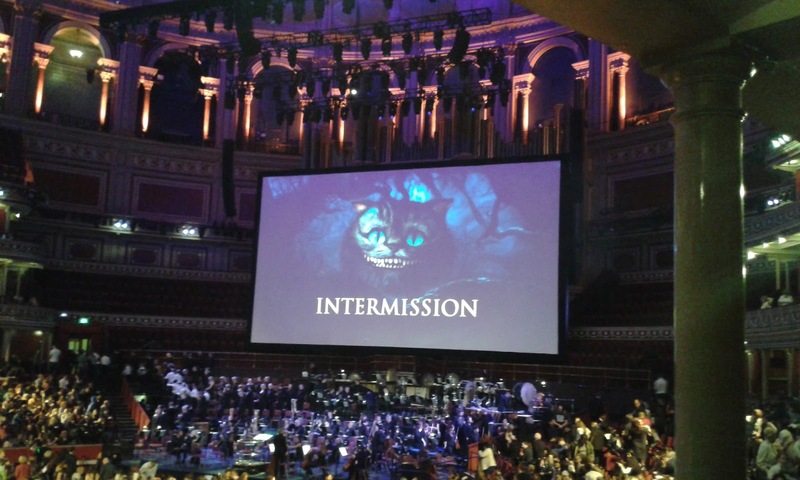 Next year they're showing ET and Raiders of the Lost Ark so I highly recommend getting tickets! 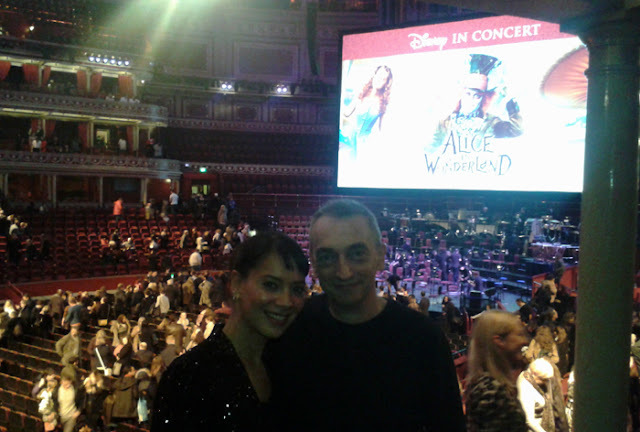 Goodbye 2015 My Best Year Yet!